Uglyworld #508 - Can I Call Home To Babo, originally uploaded by www.bazpics.com. 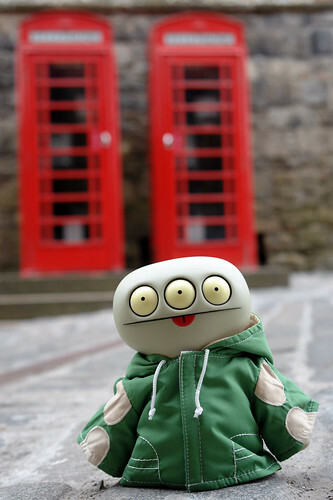 As we started to make our way towards the main portcullis of Edinburgh Castle Cinko noticed that there were two old-style UK red phoneboxes nearby and asked if he could borrow a few coins to make a call. When asked who he wanted to call he replied, "Babo, I wants to tells him alls abouts our adventurising!"